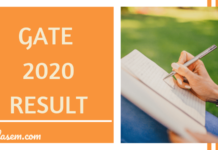 GATE 2018 Answer Key – IIT Guwahati has published final official answer key of GATE 2018 on March 13, one day before its scheduled date. Candidates can now download GATE 2018 official answer key final version here for all 23 papers. Question papers are also available for download. Previously, the provisional GATE answer key was released on February 15. After that, candidates could submit challenges from February 21 to 23. Now on the basis of challenges received, IITG is publishing final GATE 2018 Official Answer Key. As per this, result of GATE 2018 will be announced at GOAPS candidate login on March 17. 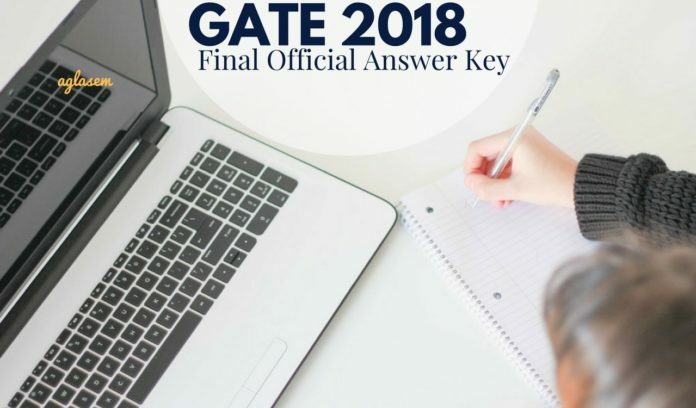 For all papers, GATE 2018 answer keys are now available. Since GATE 2018 is a computer based test, candidates do not have question papers after exam. Therefore IITG has also released GATE 2018 question paper along with GATE 2018 answer key and response sheet. How to get GATE 2018 Answer Keys? Click on link given above or visit gate.iitg.ac.in and click on GOAPS. The above link takes you to GOAPS which is GATE 2018 candidate login. There you will enter enrolment ID and password. Then you get logged in and can easily see GATE 2018 answer key in candidate dashboard. If you have forgotten login credentials you can retrieve them through forgot details link. How to challenge GATE 2018 answer key? You can challenge GATE 2018 answer key from 21st to 23rd February only by login through GOAPS. Please note that you will also have to pay a fee (Rs 500) per question to challenge answer keys of GATE 2018. Payment for the challenge that is accepted will be refunded. A candidate can avail the opportunity and challenge the answer key of any question after giving their viable justification. The same is to be submitted along the required sum of money. You are advised to make it absolutely sure that you quote the proper question number. GATE Answer Keys inform test takers of correct answers. Devising the marking scheme, candidates deduce the idea of marks they might obtain in the final result. Apart from that facility, candidates can also challenge the official keys within the given time-frame before the declaration of results. Some private coaching centers publish answer keys on the same day or a day afterexam. As per our research, candidate prefer answer key released by GATE forum, Made Easy, and Ace Academy. Although, these unofficial answer keys can be viewed for reference purpose only after the exam, It is important to realize official answer keys will give you the best results. GATE (Graduate Aptitude Test in Engineering) is a computer based test. Therefore, questions in the exam which appeared in a certain order may differ from the order of questions in answer key. You are strongly advised to check the question and then the answer to eliminate confusion. After exam got over, answer keys, question papers and solutions of GATE 2018 have been published for each paper. Wherever boxes are marked in gray lead you to pdf versions of question paper, answer key, solutions. 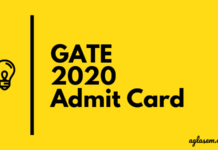 What is GATE 2018 Answer Key? GATE 2018 Answer Key is issued by that IIT which takes the charge of conducting the exam for that particular year. All candidates who appear in the Graduate Aptitude Test in Engineering test are given the opportunity to analyze their exam performance using the answer key. They can even predict their marks before the result is declared. It is released paper and code wise.